Preparation time: 5 minutes. Marinating time: 1 hour. Cooking time: 8–12 minutes. In a bowl, whisk together olive oil, lemon juice, garlic, basil, salt, pepper, parsley, and red pepper flakes. Place the halibut in a zip-top plastic bag and drizzle evenly with marinade. Seal bag and shake gently to coat fish. Marinate in the refrigerator for 1 hour, turning occasionally. Preheat grill to medium-high heat (around 350°F). 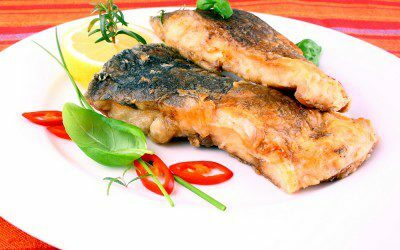 Place fish on grill, baste with any remaining marinade, then grill fish 4–6 minutes on each side, or until fish flakes easily when pierced with a fork.